A mighty panorama from January with 4 photos Stitched covering the Oslo harbour as seen from Aker Brygge. To the left the Town hall with its 2 towers. 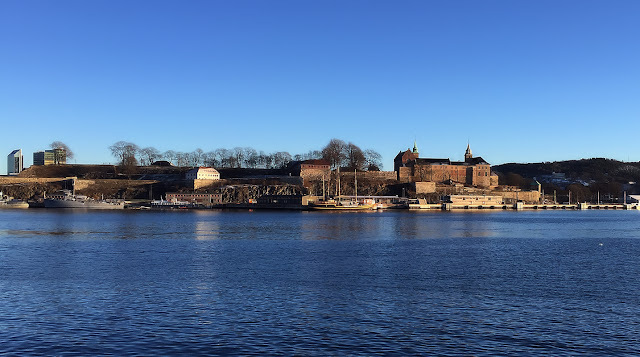 To the right Akershus Castle that in its time stopped a Swedish invasion of Oslo.